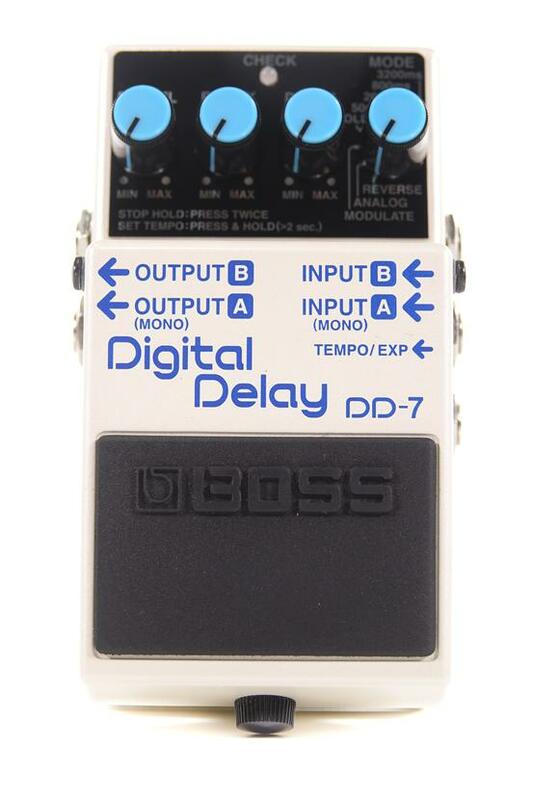 This Digital Delay pedal from Boss is in great physical and working order. This pedal has been well looked after ans has excellent functionality. Includes a user manual and the original packaging. Does not include a power supply or batteries. Even with the best-selling delays in compact-pedal history, BOSS continues to push the envelope and innovate. The new DD-7 takes the best features from its predecessors and expands the creative potential with Modulation Delay mode, classic modeled Analog Delay mode, External pedal control options, longer delay time, and more.